"A lot of people have offered to take him home, but he’s so happy here that we’d hate to tear him away from everything he knows and loves." When the RSPCA Canterbury shelter first opened its doors in 2012, the paint on the brand-new shelter wasn’t even dry yet when its first cat arrived. What the staffers didn’t know then is that their very first cat would also be the one who never left. 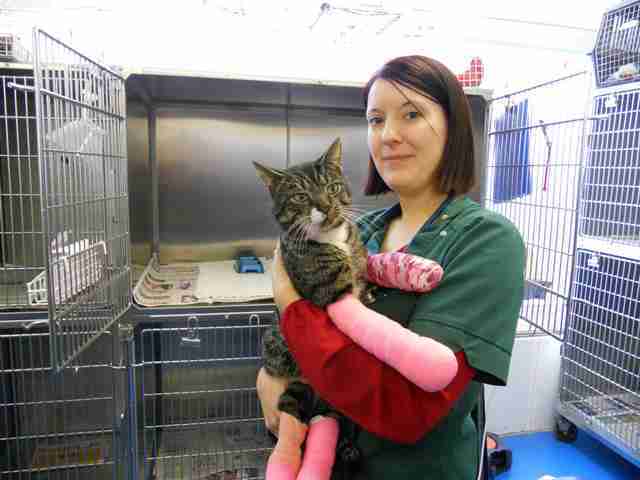 Norman was found collapsed in a garden shed with horrible injuries to all four of his legs. 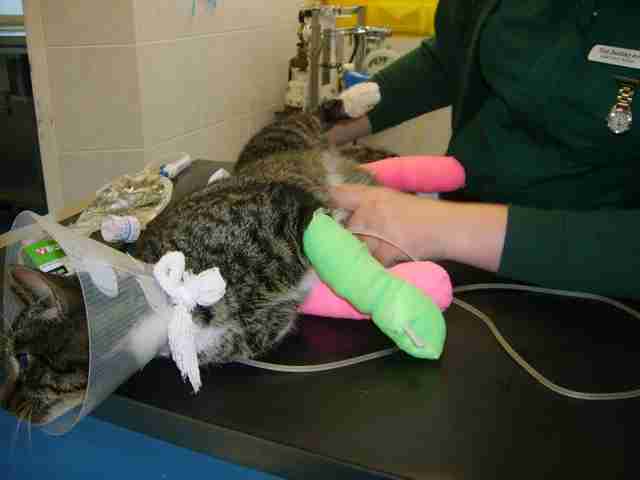 It looked like he had been hit by a car and then had dragged himself to the shed to try and heal his wounds. He likely would have had only hours left if he hadn’t been found when he was — and immediately taken to a vet. “Our officer rushed him to a vet and, after emergency treatment, he was the first animal we welcomed to RSPCA Canterbury — and he’s been under our care ever since,” Beth Hixson, manager at the RSPCA Canterbury shelter, said in a press release. Due to the extent of Norman’s injuries, his rehabilitation and recovery took months. By the time he was completely healed, he was already very settled and very, very happy at the shelter. 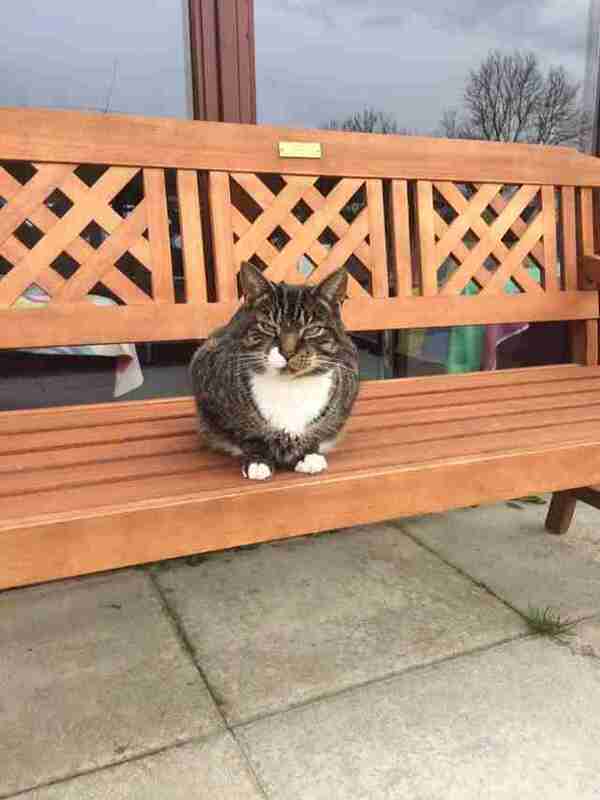 Staff decided they didn’t want to see him go — and so they decided to make him their resident cat. “We couldn’t bear to part with him after everything he’d been through,” Hixson said. 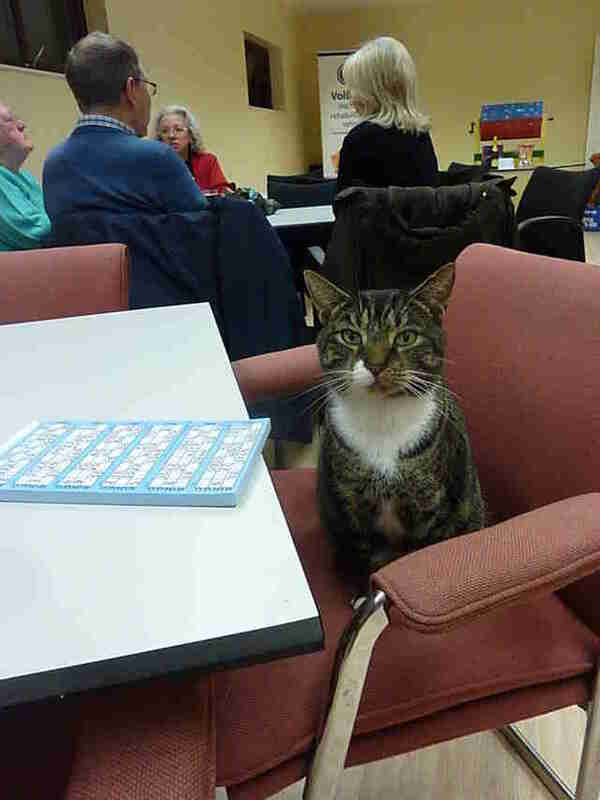 Norman essentially runs the shelter, and even attends events, where he’s always the center of attention. Due to his popularity, he now has his own column in the local newspaper, detailing his latest escapades and shelter news. 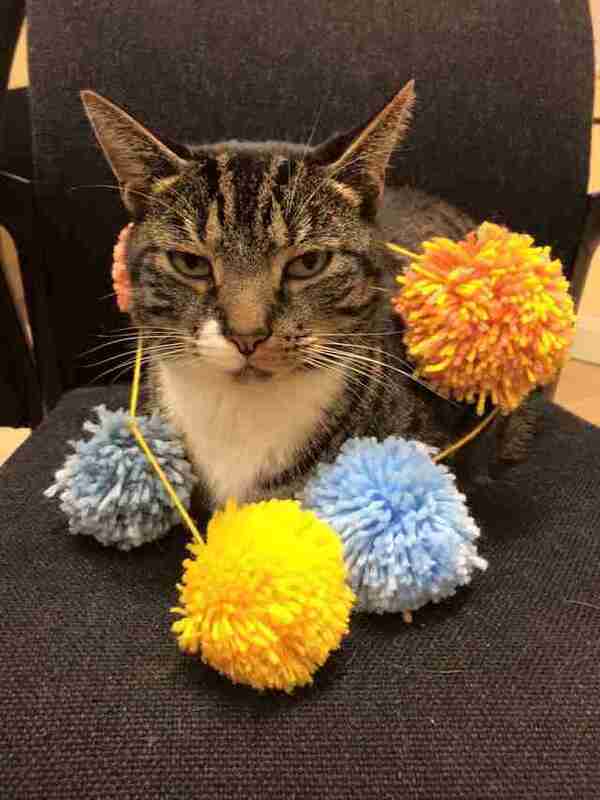 Since the shelter opened, Norman has said hello and goodbye to 1,332 other cats, as well as a handful of other animals. The only cats he hasn’t had to say goodbye to are the shelter’s other two resident cats, sisters Betsy and Belinda, who are basically Norman’s girlfriends. When Norman arrived at the shelter, everyone assumed they’d soon be helping him find a home, but instead found out that Norman had already been home all along.